The Kenduskeag Stream can be seen in Bangor in 2016. Precipitation levels in Maine reached so low that summer that the state's Drought Task Force met for the first time in 14 years. Despite a wet spring, abnormally dry and moderate drought conditions are developing in parts of the state. Parts of northeastern Maine are experiencing drought conditions while a majority of Aroostook County and parts of central and coastal Maine are classified as abnormally dry, according to an Aug. 3 report from the U.S. Drought Monitor Mitigation Center. The most recent report harkens back to the severe drought that plagued the state last summer and fall, with farmers experiencing difficulty growing under parched conditions. It was predicted that this winter’s high snowfall amounts would soothe drought conditions, and with a rainy spring and early summer, the majority of Maine was experiencing normal groundwater levels leading into the summer. But since late June, weekly reports from the Drought Monitor website show that abnormally dry conditions have been creeping into the state. 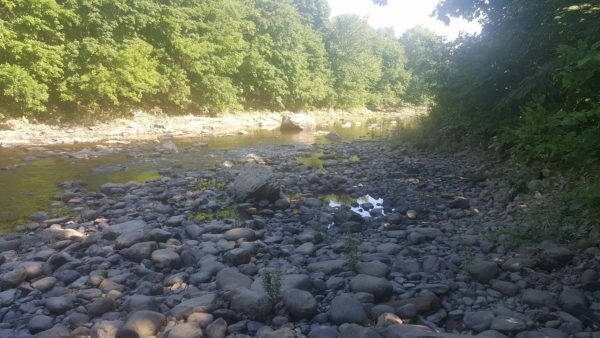 The Aug. 3 report was the first report of the summer to indicate that parts of Maine were classified as experiencing any level of drought conditions. Foisey classifies this latest drought as a “flash drought” since it developed so quickly. The drought that affected Maine last summer ― which only technically ended just this spring ― had a more prolonged onset, Foisy said. Despite a few storm systems appearing over the next week, Foisey does not expect the chance of rain to bring much relief to the conditions. “I don’t think in the next week or two we’re going to see it go away,” Foisey said.